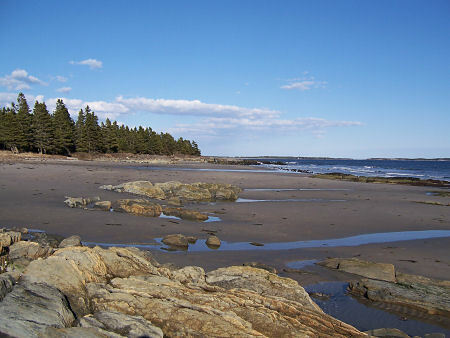 The eastern end of Risser's Beach (a Provincial Park) hosts a campground. If you're lucky, you can pitch your tent next to this beach, shown here at low tide. The rock formations separate it from the longer stretch of the pure sand beach.